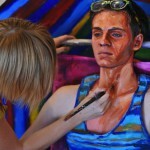 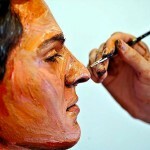 26-year-old American artist Alexa Meade from Washington DC has created her own style of body painting. 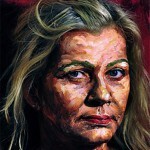 In particular, she paints her models to look as though they are images in bad artwork. 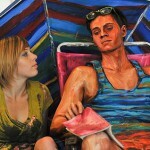 It’s a technique that works best in a gallery, giving the visitors a start when they realize the subject in the painting is alive. 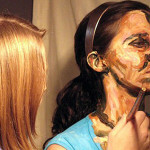 Noteworthy, she never attended art school, or any advanced painting courses. 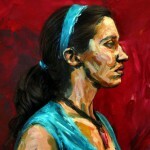 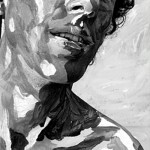 In August 2008, Meade began to experience a new genre of painting. 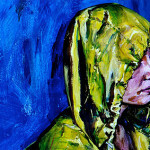 She applies acrylic paint to the surfaces of people, objects, and walls in a broad brushstroke that mimics the appearance of brushwork in a painting in a technique that she innovated. 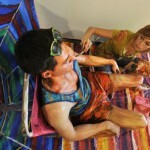 When the three-dimensional tableau is viewed in a two-dimensional photograph, it appears to be an oil painting. 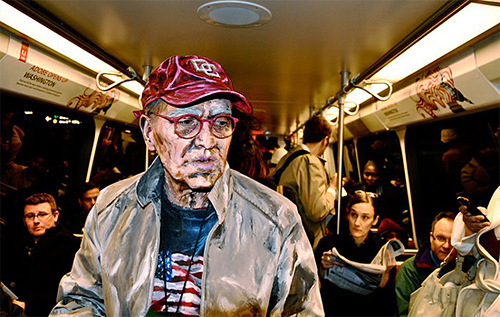 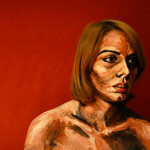 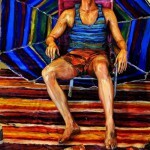 Alexa Meade’s work has been exhibited at the Smithsonian National Portrait Gallery in Washington, D.C., Postmasters Gallery in New York City, Galerie Ivo Kamm in Zurich, and the Saatchi Gallery in London.